Not only is Scarlett Parker's love life in the loo - as her British cousin Vivian Tremont would say - it's also gone viral with an embarrassing video. So when Viv suggests Scarlett leave Florida to lay low in London, she hops on the next plane across the pond. Viv is the proprietor of Mims's Whims, a ladies' hat shop on Portobello Road bequeathed to both cousins by their beloved grandmother, and she wants Scarlett to finally join her in the millinery business. But a few surprises await Scarlett in London. With Angie and Tate's wedding just around the corner, it's a happy time for Melanie Cooper and the bakery crew. Not only are they finessing the last-minute details of the big day, but their bakery, Fairy Tale Cupcakes, has just been hired to bake cupcakes for the blockbuster book signing of a controversial author who wrote a steamy best seller filled with juicy local gossip. But one by one, the people Angie has hired to work the wedding begin turning up dead. As the body count rises, the best-selling author is the next to bite the dust. 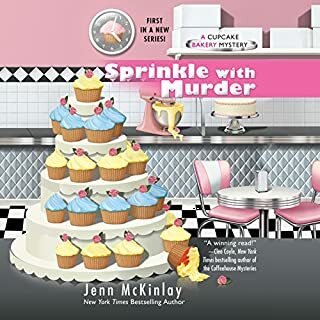 Mel quickly realizes she needs to figure out how the murders are connected and why - before the killer brings the entire cupcake crew crumbling down. After all, Angie and Tate deserve their sweet happily-ever-after. The story, characters & narrator are all great! Unfortunately, the audio itself has issues that take away from the enjoyment. Words are cut off at the end of some sentences leaving me to wonder if I am missing something important. Very distracting! This needs to be fixed. several words were cut off at the end of sentences. this happened all throughout the book. Would you consider the audio edition of Wedding Cake Crumble to be better than the print version? What does Susan Boyce bring to the story that you wouldn’t experience if you just read the book? Entertaining listen. Love the characters and the humor along with all the movie quotes. I always have my doubts when a series has gone on this long but I continue to enjoy each story. This last one was one of my favs. This was so good that I couldn't turn it off. It was funny at the right places, engaging, and kept me wanting more. 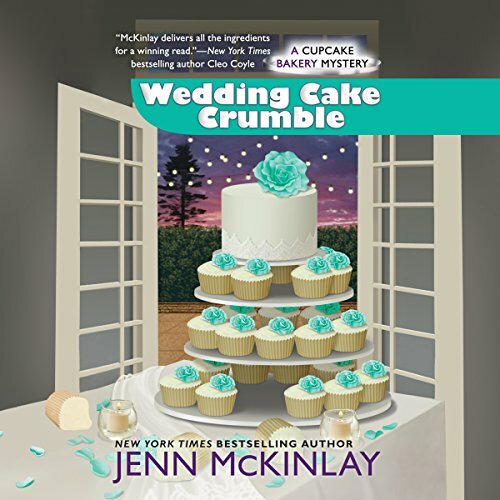 In Wedding Cake Crumble, the newest book by Jenn McKinlay, Angie and Tate have just one week until their wedding. Angie and Mel go to give payments to the wedding vendors when they find the body of their photographer, Tate's close friend Blaze, strangled by his camera strap. When they discover that the limo driver was murdered the previous night, the police decide that these murders can't be a coincidence and that somehow Angie and Tate's wedding may be targeted. Then that same day, Mel gets a call from her bookstore owner friend, Cassie, begging her to bake 500 cupcakes for a special event the next day. Elise Penworthy, divorced from a rich, controlling man, has written a "fictional" tell-all account of life in The Palms, the rich area of Scottsdale and has a book signing. It isn't until the book signing that Mel learns that the original baker died, and Cassie had scheduled Blaze and the same limo driver. It becomes obvious that the target was not Angie and Tate's wedding, but rather Elise's book opening event. Mel and Angie are unable to convince Elise to leave the book signing and give a sigh of relief when it is over. But then Elise announces she is going to the bar, but when they follow, it takes time to locate Elise, and she has been stabbed in the back with a pen. When she comes to consciousness for a short while, she states that Cassie did it, so when Elise dies, the police arrest Cassie. Mel finds herself working hard to find evidence to vindicate Cassie, while getting everything ready for the wedding this week. 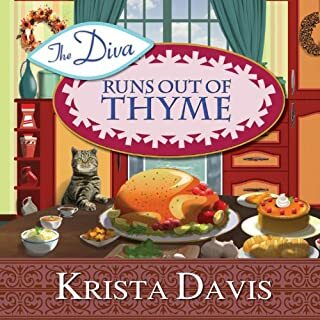 This book was another fun addition to the Cupcake Bakery Mystery series. The plot has intrigue, along with the relationship drama connected to Angie and Tate's wedding. 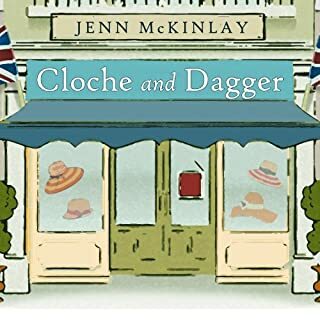 Jenn McKinlay's books really should be read in order because they deal so much with relationships as they develop. I do think that they have really unnecessarily dragged out the span of the relationships. This is book 10 in the series, yet despite the fact that both Angie and Mel have been in love with their men since the age of 12 and get together with them early in the series, neither has yet made it to the altar, though not without trying, I might add. 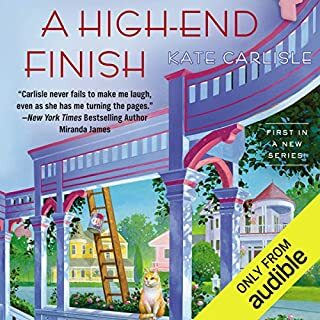 This book will have appeal mostly to those who have been devoted to the previous nine books in the series because we get excited to see Angie and Tate finally getting married. But of course, that can't happen without plenty of drama, especially since it's Angie's wedding. However, the wedding and its last week's preparations take up a significant portion of the book, taking away from the time the book can spend on the murder. McKinlay does work discussion of the case into the wedding preparations, as Angie would much rather discuss the murder than think about her wedding, which she worries about. I just found the total murder plot to be a little weak on content, yet that is disguised by all the excitement of finally getting to see the pair get married. 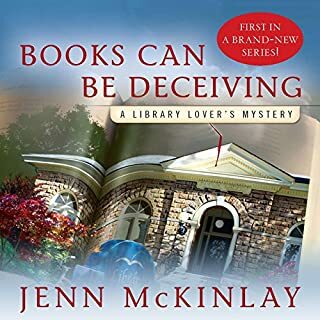 Longtime fans will revel in the wedding scenes, but a cozy mystery lover who picks up this as her first cupcake series book might not appreciate it as much. As with all the books in this series, the real strength is in its characters. And this book brings back some of the characters from previous books, such as Manny, who moved to Las Vegas to be with the woman who opens their first franchise. The original Fairy Tale Cupcake Shop pair, Angie and Mel, each has her own method of dealing with life and crimes. Mel is the especially nosy one, taking personal risks to find out clues. The employees of Fairy Tale Cupcakes also have great personalities, and we enjoy the crazy brothers of Angie, who are highly protective of their younger sister in the voluble manner of their Italian family. Since the pair getting married own a cupcake shop, of course they have wedding cupcakes instead of cake, and Oz, a young goth man with tattoos and piercings, makes special cupcakes as his gift to the couple. 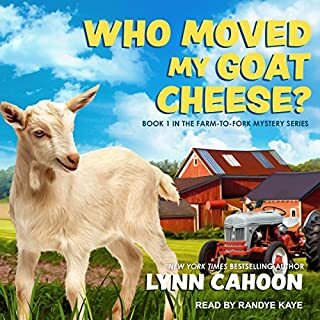 The audio version of this book is performed by Susan Boyce, who does a great job of exuding energy and fun with this series. She creates vivid voices for each character, making them suit each person in the book. My one concern is that the audio recording has periodic breaks in it, seeming to cut off words occasionally and then pausing before continuing in the book. It becomes a distraction on occasion when this occurs. It was fun to finally see Angie and Tate approach their longtime-planned wedding in Wedding Cake Crumble. We can vividly picture all the characters and events, as McKinlay has a gift for description. This book kept my attention throughout the whole thing. I give the book four stars.